Home » General » Call for Lancome Face Models! 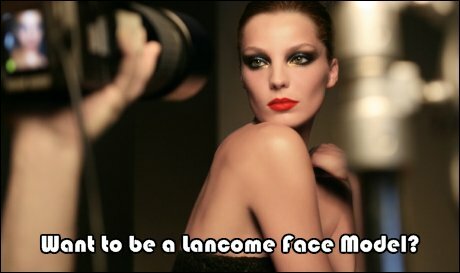 Call for Lancome Face Models! You might remember a similar call last year for anyone wanting to be a Lancome Face Model. Essentially, you will be the canvas for the makeup artists to train on and get to have makeup put on you, and possibly be among the first in the country to try any new collections or makeup items! If you are interested, here are the deets!